Many years ago, when my husband and I walked our 4-year-old granddaughter Meredith to pre-school, I started to tell her stories about my own childhood. Soon she would begin all of our walks by saying, “Grandma, tell me a farm story”, and a few years later I began this book with that as the title. My Grandmother is the source of the current title, Little Heathens. This was her favorite designation for us kids. I have noticed a resurgence of public interest in the rural matters where people yearn to engage in satisfying activities that have direct meaning in their lives. Perhaps this is because our current national and international challenges result in individuals feeling helpless and disconnected. 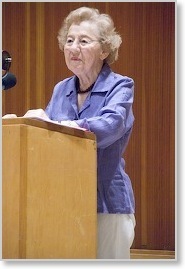 My book tells of a life of total involvement. I thought many readers would enjoy reading about that experience. 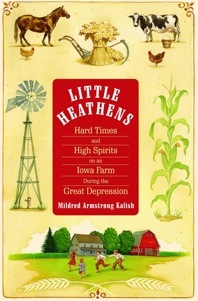 Little Heathens' focus is on how my siblings and I were raised on a working farm in Iowa by aging grandparents imbued with Puritan values and the Protestant work ethic, while our somewhat different and indifferent mother did her insufficient best to rear us. I describe how, beginning in the Thirties, the United States was sliding slowly, but inexorably, into the Great Depression — something that frightened us kids almost as much as it did the adults. Our farm had no running water, no central heat, and no electricity. Above all, we had no money. Side-by-side, the adults integrated all of the children into the work force. My three siblings and I — along with our cousins who lived on a farm directly across the road — had a part in practically every aspect of making the family and the farm a successful operation. My book relates what and how we lived and learned in that very challenging world so that my story is also a how-to manual — how to scrub a pig’s head in preparation for making head- cheese, how to tame a raccoon, how to plant potatoes, and how to wean a calf.